#5 Wichura, H., Jacobs, L.L., Lin, A., Polcyn, M.J., Manthi, F.K., Winkler, D.A., Strecker, M.R., Clemens, M. (2015): A 17-My‐old whale constrains onset of uplift and climate change in east Africa, PNAS. #4 Duesterhoeft, E., Bousquet, R., Wichura, H., Oberhänsli, R. (2012): Anorogenic plateau formation: the importance of density changes in the lithosphere, Journal of Geophysical Research - Solid Earth. #3 Wichura, H., Bousquet, R., Oberhänsli, R., Strecker, M.R., Trauth, M.H. (2011): The Mid-Miocene East African Plateau: a pre-rift topographic model inferred from the emplacement of the phonolitic Yatta lava flow, Kenya, Geological Society of London, Special Publication. #2 Wichura, H., Bousquet, R., Oberhänsli, R. (2010): Emplacement of the mid-Miocene Yatta lava flow, Kenya: Implications for modelling long channelled lava flows, Journal of Volcanology and Geothermal Research. 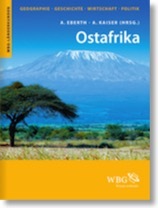 #1 Wichura, H., Bousquet, R., Oberhänsli, R., Strecker, M.R., Trauth, M.H. (2010): Evidence for middle Miocene uplift of the East African Plateau, Geology. » Wichura, H. (2006): Attempt of a quantification of volume changes in carpholite bearing quartz segregations, Central and Western Alps. University of Potsdam, supervised by R. Bousquet and R. Oberhänsli. #13 Wichura, H., Jacobs, L.L., Strecker, M.R., Lin, A., Polcyn, M.J., Manthi, F.K., Winkler, D.A., Clemens, M. (2014): Onset of uplift and environmental change in East Africa: paleoaltimetry constraints from a 17 Ma beaked whale fossil from northern Kenya. 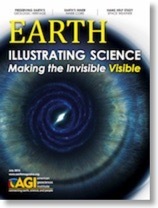 AGU Fall Meeting, San Francisco, Poster. #12 Jacobs, L.L., Wichura, H., Lin, A., Polcyn, M.J., Manthi, F.K., Winkler, D.A., Strecker, M.R., Clemens, M. (2014): The Miocene Kenya beaked whale. SecAd Washington DC, Talk. #11 Lin, A., Jacobs, L.L, Wichura, H., Polcyn, M.J., Manthi, F.K., Winkler, D.A. (2013): Miocene beaked whale from West Turkana, Kenya, and Paleoelevation of the northern Kenya Rift. GSA Annual Meeting, Denver, Talk. #10 Duesterhoeft, E., Oberhänsli, R., Wichura, H., Bousquet, R. (2013): Anorogenic plateau formation induced by a heated lithosphere, EGU General Assembly, Vienna, Poster. #9 Oberhänsli, R., Duesterhoeft, E., Bousquet, R., Wichura, H. (2012): Metamorphic density changes as key process to form anorogenic plateaus. International Geological Congress, Brisbane, Talk. #8 Duesterhoeft, E., Bousquet, R., Wichura, H., Oberhänsli, R. (2012): Metamorphic density changes as key process to form anorogenic plateaus. EGU General Assembly, Vienna, Poster. #7 Wichura, H., Bousquet, R., Oberhänsli, R., Strecker, M.R. (2010): Emplacement of the middle Miocene Yatta lava flow, Kenya: implications for modeling long channelled lava flows. AGU Fall Meeting, San Francisco, Poster. #6 Wichura, H., Bousquet, R., Oberhänsli, R., Strecker, M.R., Trauth, M.H. (2010): Mid-Miocene Uplift of the East African Plateau. EGU General Assembly, Vienna, Talk. #5 Wichura, H., Bousquet, R., Oberhänsli, R., Strecker, M.R., Trauth, M.H. (2009): Mid-Miocene Uplift of the East African Plateau, AGU Fall Meeting, San Francisco, Poster. #4 Wichura, H., Bousquet, R., Oberhänsli, R. (2009): Interaction between Mantle Plume Processes and Topography in Incipient Rift Systems, EARS. EGU General Assembly, Vienna, Talk. #3 Bousquet, R., Wichura, H., de Capitani, C., Oberhänsli, R. (2008): Fluids release mechanisms, vein formation, and earthquake localization in subduction zones: a dynamic numerical modeling study, EGU General Assembly, Vienna, Poster. #2 Wichura H., Bousquet, R., Oberhänsli, R., de Capitani, C. (2007): Relation between Fluid Release, Vein Formation and Earthquakes in Subduction Processes, AGU Fall Meeting, San Francisco, Poster. #1 Bousquet, R., Wichura, H., Oberhänsli, R., de Capitani, C., Goffé, B. (2007): Fluids release, vein formation and their influence on subduction earthquakes, EGU General Assembly, Vienna, Poster.